Don’t expect Philip Rivers to be playing in a uniform other than that of the Chargers anytime soon. Coming off one of the best seasons of his career, Rivers and the Chargers are entering negotiations for a new contract, according to general manager Tom Telesco. As for Rivers himself, he’s not interested in going anywhere else, either. “I certainly feel that’s something I want to be a part of and hopefully be helping us still winning football games,” Rivers said, per ESPN. 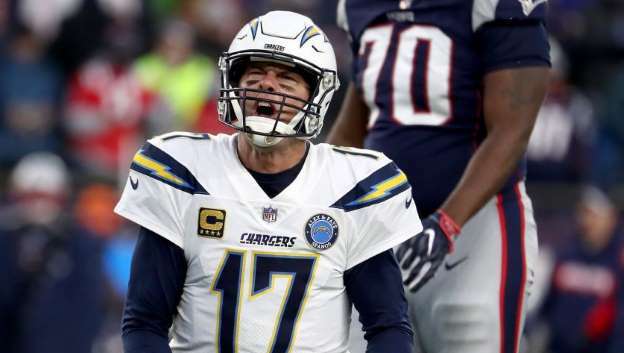 The Chargers were among the handful of best teams in the NFL this season, but they had the bad fortune of having to play a playoff game on the road against the Patriots. That’ll result in a loss more often than not, and that’s exactly what happened to the Chargers. They should come back next season as one of the best teams in the league again, and it doesn’t look like they’ll have to worry about finding Rivers’ successor for at least another couple years.